[a]fter Jamel McLelland Fowler was found guilty of burglary of a building by a Hunt County jury, the trial court granted Fowler's motion for new trial, then entered a judgment of acquittal. The State has appealed. Finding no abuse of discretion by the trial court, we affirm the judgment of acquittal. State charged Fowler with three offenses: (1) burglary of a building owned by William Martin (the Martin burglary case); (2) a state jail felony offense of theft alleging Fowler stole an all-terrain vehicle belonging to Paul Blassingame (the ATV case); and (3) an alleged burglary of a building alleging Fowler stole a trailer (the theft of trailer case). Each alleged crime occurred on different dates and involved different victims. The State moved to try all three cases together, alleging they `constitute[d] the same criminal episode because they are the repeated commission of similar acts.’ Fowler did not oppose the consolidation. After three days of trial, the State dismissed the theft of a trailer case. The trial court granted Fowler's motion for new trial and entered a judgment of acquittal in the Martin burglary case, and the jury convicted Fowler of theft in the ATV case. Fowler's appeal of the theft conviction in the ATV case is still pending in this Court. In this case, we address the State's appeal of the trial court's order granting new trial and judgment of acquittal in the Martin burglary case. Martin owned real property in Hunt County which contained a home, a woodshop, and an aircraft hangar. The property was enclosed with a fence and a gate. Although Martin did not reside on the property, he traveled there every two or three days to inspect it. On December 14, 2014, he noticed that the aircraft hangar had been burglarized. Martin observed that some equipment and aircraft parts were missing, including `some carburetors, some aircraft equipment panel meters, [and] some ignition systems’ that were `[v]ery expensive’ and could be easily sold. Martin reported the burglary to the Hunt County Sheriff's Department. Hunt County Sheriff's Deputy Joshua Robinson met with Martin at his property. Robinson investigated the scene and gave Martin paperwork to list missing or stolen items. Robinson observed that an office in one of Martin's buildings was in disarray and appeared as if it had been rummaged through. Robinson found a fingerprint on a filing cabinet and made a copy of it for his investigation. On direct examination, Robinson testified that it was a complete fingerprint, but on cross-examination, he acknowledged that his report said it was a partial fingerprint. Martin also observed ATV tracks along the back fence inside his property, and he showed them to Robinson, who took photographs of them. Martin described the tracks as `just imprints in the grass.’ Robinson testified that he did not investigate the cut fence because it was very muddy that day. The State's theory at trial was that the tracks observed by Martin were made by the ATV taken in the ATV case. [i]n response to the burglary, Martin installed two game cameras in the aircraft hangar. About five to six weeks afterward, however, Martin observed the property had been burglarized a second time and that the game cameras had been stolen. Martin knew that this was a separate burglary, and not merely damage related to the first burglary, because a new section of fencing had been cut and a previously secured dead-bolted door had been forced open. Martin observed that the burglar had gained entrance to his property each time by cutting holes in his fence. The first time, the burglar cut two holes in the fence, and the second time he cut a third hole. Each of the holes was approximately six feet wide. After the second burglary, Martin found an Alcatel cell phone near the location where the third section of fence had been cut. The telephone was about three feet from the newly cut fence section, which was approximately twenty-five feet from the hangar. Martin testified that he put the cell phone in a plastic bag, taking care not to touch it, and then took it to the Sheriff's Department where he gave it to an investigator. While Martin was there, the investigator was able to turn it on and operate it. Nathan Erhart was the operations captain for the Hunt County Sheriff's Department. Erhart testified that Investigator Phillips gave him a cell phone number to research using a data service called CLEAR. Erhart testified that CLEAR was a paid service used by law enforcement agencies for investigative purposes. He also testified that he had used the program twenty times. A. [By Erhart] When I ran the number through the C[LEAR] system, the results came back to Mr. Fowler. Q. [By the State] Full name, please. A. I couldn't tell you the full name. I didn't look at the report before I came up here. Q. Okay. Did you actually do a report? A. I did not do a report for this instance, no. Q. Okay. So whose report did you review when you said you had reviewed one this morning? A. I looked at Deputy Phillips'—or Inv. Phillips' report. Erhart testified that running the cell phone number through the CLEAR system was the extent of his participation in the investigation. State asked Erhart if he had `ever used the C[LEAR] program’ himself and found that it was `not . . . accurate for whatever [he] used it for?’ Erhart answered, `I've never had it be—.’ However, before he could complete his answer, Fowler objected on the basis that the State failed to lay a proper predicate that Erhart had sufficient expertise with the program to testify to its accuracy. The trial court sustained the objection, thereby preventing the State from establishing that the program was accurate based on Erhart's prior experience. State did not call Investigator Phillips to testify. Nor did the State present any evidence identifying the owner of the partial fingerprint found in Martin's hangar. [b]efore opening statements, the court administered oaths to two persons identified by the court reporter as Investigator Kelly Phillips and Investigator Marsha Phillips. The witnesses were then placed under the rule and excluded from the courtroom. In its opening statement, the State stated that Investigator Phillips would be one of the last witnesses called by the State. The State then told the jury that the number assigned to the cell phone found by Martin `[came] back to the Defendant's name.’ The State continued, `I believe you're going to get evidence that that comes back to the Defendant's name, Jamel Fowler.’ The State also said Phillips would testify that the global positioning system for the cell phone appeared to be functioning, leading to the conclusion that the phone's owner was trying to find it. The State did not identify which one of the two investigators named Phillips it was referring to, but based on the fact that it referred to him as `he,’ it appears the investigator was Kelly, not Marsha Phillips. However, the record is not clear as to the identity of the investigator to whom Miller gave the cell phone, or whether this investigator was the same investigator who turned the cell phone on. Ultimately, after the testimony concluded and before the case was submitted to the jury, the State announced that it would not call `Inv. Phillips’ and moved to dismiss the trailer case. The trial court granted the State's motion to dismiss the trailer case with prejudice. The State did not offer testimony from either Investigator Kelly Phillips or Investigator Marsha Phillips. State v. Fowler, supra. The court also noted that “[n]or did the State present any evidence identifying the owner of the partial fingerprint found in Martin's hangar.” State v. Fowler, supra. [i]n evaluating the legal sufficiency in this case, we must review all the evidence in the light most favorable to the jury's verdict to determine whether any rational jury could have found, beyond a reasonable doubt, that [the defendant] committed the offense. See Brooks v. State, 323 S.W.3d 893, 912 (Tex. Crim. App. 2010) citing (citing Jackson v. Virginia, 443 U.S. 307, 319, 99 S.Ct. 2781, 61 L.Ed.2d 560 (1979)); Hartsfield v. State, 305 S.W.3d 859, 863 (Tex. App.—Texarkana 2010, pet. ref'd) (citing Clayton v. State, 235 S.W.3d 772, 778 (Tex. Crim. App. 2007)). We examine legal sufficiency under the direction of the Brooks opinion, while giving deference to the responsibility of the jury `to fairly resolve conflicts in testimony, two weigh the evidence, and to draw reasonable inferences from basic facts to ultimate facts.’ Hooper v. State, 214 S.W.3d 9, 13 (Tex. Crim. App. 2007) (citing Jackson, 443 U.S. at 318–19, 99 S.Ct. 2781). Legal sufficiency of the evidence is measured by the elements of the offense as defined by a hypothetically correct jury charge. Malik v. State, 953 S.W.2d 234, 240 (Tex. Crim. App. 1997). 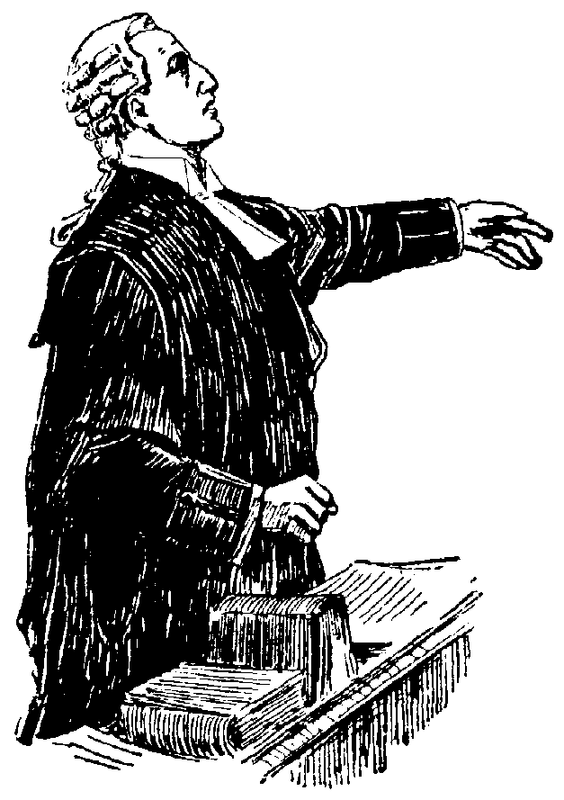 The hypothetically correct jury charge `sets out the law, is authorized by the indictment, does not unnecessarily increase the State's burden of proof or unnecessarily restrict the State's theories of liability, and adequately describes the particular offense for which the defendant was tried.’ Id. ; see Allen v. State, 436 S.W.3d 815, 818 (Tex. App.—Texarkana 2014, pet. ref'd). [v]iewing the evidence in the light most favorable to the verdict, the record contains the following evidence tending to connect Fowler to the Martin burglary: (1) a cell phone was found near the third section of cut fence on the Martin property after the second burglary; (2) Erhart's testimony that, using a private data research program, he found that the phone number associated with the cell phone belonged to `Mr. Fowler’; (3) testimony establishing that bolt cutters were found in Fowler's vehicle more than once; (4) Fowler's acknowledgement that the bolt cutters were his; (5) the presence of tracks on Martin's property after the first robbery which Martin testified looked like ATV tracks; (6) evidence that an ATV had been stolen in the ATV case and later found in Royse City; (7) `the fact that, because law enforcement was able to power on the phone found by Martin, the cellphone had been left recently at [Martin's] property.’ In addition to that evidence, the State argues that there is sufficient evidence that Fowler stole Blassingame's ATV, which further bolstered its belief that Fowler burglarized Martin's building. While this evidence may lead to a suspicion that Fowler was guilty of burglarizing Martin's building, bridging the gap between mere suspicion and proof beyond a reasonable doubt depends on the acceptance of factual conclusions that were never proven. To begin with, Fowler was charged with the first burglary committed on December 14, 2014. Yet, the cell phone was found after the second burglary five to six weeks later. There was no evidence establishing how long the cell phone had been present, but the State argues in its brief that the fact the officers were able to power it on demonstrated it had been recently lost. While we do not necessarily agree with the State's argument—particularly since no evidence was introduced to establish the reasonable operating life of cell phone batteries for this model of cell phone—even if the State's argument is correct, it merely suggests that the cell phone had been left recently. Therefore, under the State's own argument, the cell phone is not evidence connecting Fowler to the first burglary for which he was indicted. Moreover, the testimony merely established that a `Mr. Fowler' was connected to the cell phone number, not the appellee, Jamel Fowler. While this is some evidence that the cell phone number belonged to the appellee, the surname `Fowler' is hardly so unique that it leads inexorably to the conclusion that it was the appellee's cell phone. Yet, even if the evidence were sufficient to establish that the cell phone belonged to the appellee, there is no evidence establishing that the phone was related to the first burglary, for which he was tried. Likewise, the evidence establishes that the fence was cut and that Fowler had bolt cutters on different occasions. While we do not doubt that bolt cutters can cut a fence, it is likewise true that other tools can cut a fence as well. There is no evidence to demonstrate that Martin's fences were cut with a bolt cutter and not some other tool. Nor is there evidence that bolt cutters are such a rare tool that Fowler's possession of them demonstrates that the fence was cut by him with the bolt cutters in his possession and not by someone else with a different set of bolt cutters. Finally, even if we accept the State's position that there is sufficient evidence to establish that Fowler stole Blassingame's ATV, there is no evidence to demonstrate that only an ATV similar to Blassingame's ATV could make the tracks witnessed by Martin. Just as there are other tools that can cut fences, there are different kinds of ATV's that can make tracks on wet grass. In actuality, the only way the State's evidence could establish that Fowler was guilty in this case is if one started with the assumption that Fowler was guilty as charged and worked backwards from there. For example, only if one assumes that Fowler committed the second burglary does the cell phone's registration establish that the defendant owned the cell phone and not some other `Mr. Fowler.’ Likewise, only if one assumes that Fowler owned the cell phone found after the second burglary and then assumes that such fact demonstrates that he committed the first burglary as well do the ATV tracks establish that Blassingame's ATV made those tracks, and not some other ATV. Furthermore, only if one assumes that Fowler cut Martin's fence does his possession of bolt cutters establish that his bolt cutters were used to cut that fence. At best, the State's evidence demonstrated that (1) Fowler had stolen an ATV and an ATV was possibly used during the first burglary; (2) Martin's fences were cut during both burglaries, (3) Fowler possessed bolt cutters, and bolt cutters can cut a fence; and (4) a cell phone belonging to a `Mr. Fowler’ was found near the fence after the second burglary. While this evidence may lead to a strong suspicion that Fowler was guilty of the December 14, 2014, burglary of Martin's property, no rational jury could find that these facts proved Fowler's guilt beyond a reasonable doubt. [c]onsequently, the trial court did not abuse its discretion in granting the new trial. Because jeopardy had attached, an acquittal was the only possible result. See Savage, 933 S.W.2d at 499. Therefore, we affirm the trial court's judgment of acquittal.